It’s perhaps not surprising, then, that some of the biggest hits at this year’s giant Consumer Electronics Show (CES) – the tech industry’s flagship exhibition – were robot pets aimed at tackling loneliness in older age groups. Technology to support an ageing population was one of the biggest themes at this year’s CES, which took place in Las Vegas at the beginning of the year. New products launched at the show included a number of inventions aimed at helping elderly people with daily life, such as health monitoring devices and “smart home” apps to control lights and heating. But perhaps the most interesting products on offer were those designed to keep people company. The immediate benefits of an electronic pet are obvious, given that it will never need to be fed or taken for a walk, but many of the newest robot companions also offer additional functionality to support older people who live alone. After winning a Best of Innovation award at last year’s CES, Intuition Robotics announced at this year’s show that its “social robot for older adults,” ElliQ, is now available for pre-order in the US. ElliQ’s designers say that the device, which sits on a tabletop but lights up and moves when interacted with, has been developed in partnership with older people, and it offers a huge range of features, including video calls, messaging, photo sharing, “brain training” games, music, calendars and reminders. Product testers have commented that they like the way the device greets them and talks to them like a friend. The price, however, is slightly less friendly: $1,499 (around £1,155) plus a $50 (~£38) monthly subscription fee. While ElliQ has been designed to be very functional, another home robot has been designed primarily to stir the emotions, in the same way that an animal might. The LOVOT, a cute robot pet with googly eyes and soft fur, has sensors that respond to human touch, and is meant to be picked up and cuddled. Described by its Japanese manufacturers Groove X as “a robot that makes you happy”, it can follow its owner around the house demanding cuddles, and even makes a cooing sound when it’s stroked! In Japan, where LOVOT was designed, loneliness is a huge problem. In 2012, the average number of people in a Tokyo home dropped to less than two for the first time and social isolation has – unfortunately – become the norm in larger cities. But loneliness isn’t just a problem in Japan; it’s a growing problem around the world – including the UK. A recent analysis by the Office of National Statistics reports that one in 20 adults in England who were surveyed in 2016-17 felt lonely “often” or “always”. Widowed homeowners – especially women aged over 65 – who are in poor health, or have a long-term health condition, were reported to be at particular risk. Given these statistics, the rise of “companion technology” is sad, but understandable. Here at Harley Street Care, we’re very aware of the impact loneliness has on people’s overall wellbeing. For many lonely older people, the only regular social contact they have is with their care assistant, which is why we take the need for carers to spend more time with their clients, delivering care, very seriously. 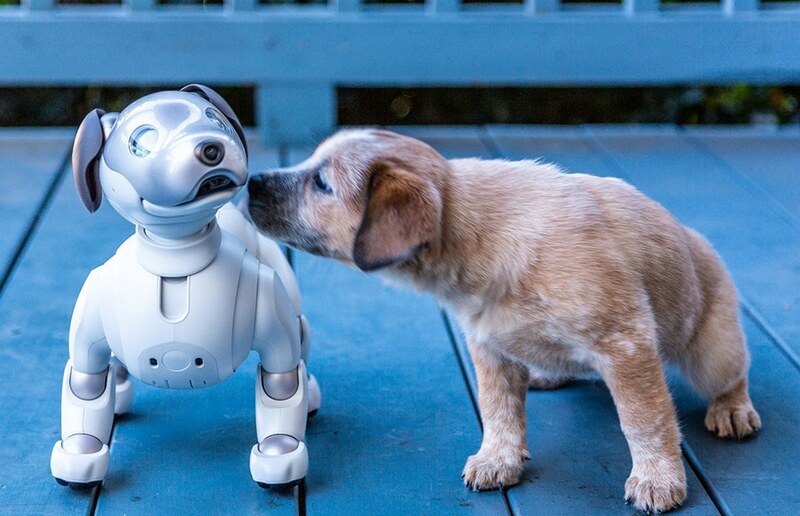 Robot pets seem like fun – and making assistive technology more accessible by combining it with a cuddly interactive toy certainly sounds like a good idea – but can technology ever be a substitute for real human interaction? As more products are developed and the prices come down, It will be interesting to see what the future holds.